CREWSING Technologies believes the help desk plays a vital role in organizational efficiency. Businesses and Educational institutions technology equipment is highly used and should be maintained. We configured for efficiency and support throughout the year. For quick and easy service click here and download our app today and fill out a ticket. Get a free 30 min remote computer assessment and fix where possible. Is your school technology your lifeline to efficiency? Stay connected by syncing the calendar, contacts, network printing and domain folders on your network devices; our Help Desk level I, II, III Members will assist you during business hours and after! CREWSING IT training works in partnership with clients, providing technology-focused services that increase productivity and enhance computing experiences. CREWSING training looks to assist administrators with “user-friendly, clinical, technical training that enhances the data flow of an administration and classroom. We try to meet our clients where they are and tailor our training to their knowledge base. 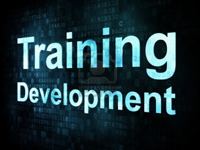 Here are a few areas we provide “user-friendly” technical training. Assist and evaluate teachers and their unique style of teaching and tailor the use of technology to fit the curriculum. Page creation, content input, slider creation, hyperlinks, updating graphical content training. We analyze business practices and create a more user friendly efficient digital process. CREWSING Technologies a full service multi-media interactive technology company with services that consist of: consultants, help desk, training, audio video, network building and maintenance.